Kami Garcia & Margaret Stohl began their first novel (Beautiful Creatures) on a dare: no one believed they would finish it. So they did, never assuming it would be published. It wasn’t until a writer friend showed it to his agent that these two best friends understood they had a whole new career ahead of them. 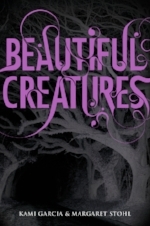 Beautiful Creatures has now been published in 30 countries and has been optioned for a film.